Laminar Airflow is defined as air moving at the same speed and in the same direction, with no or minimal cross-over of air streams (or lamina). By contrast, turbulent flow creates swirls and eddies that deposit particles on surfaces randomly and unpredictably. 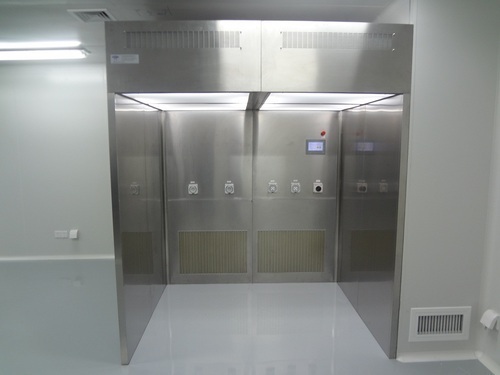 Established in the year 2007, we, Air Micron Cleantech, are one of the leading manufacturers and service providers of Modular Operation Theater, Clean-Room Procedure, Modular Operation Theatre Services, Laminar Air Flow Benches and more. In addition to this, we also provide complete conceptualization, design, construction and validation and detail engineering solutions for process, mechanical, HVAC, electrical & piping to the chemical industry. Owing to our expertise in the industry, we have etched a remarkable position for ourselves as a well-known turnkey contractors & fabricators of air handling units & clean room equipment/accessories. Our equipment and services are catering to the requirements of chemical and pharmaceutical industries. We are backed by a team of experienced engineers, pharmaceutical technicians, who ensure that our clients are provided with the best. To ensure quality in our services, our quality auditors and inspectors keep the strict vigil on entire operational activities. We are dedicated to providing cost effective and innovative problem-solving alternatives on time and within budget to comply with the strict statutory and regulatory regulations of health and safety, cleanliness and hygiene of our target sectors. Our large scale activities are closely monitored by our Mentor, Mr. Amit Surve, who has sharp business acumen. His in-depth industry knowledge and awareness has made us grow by leaps and bounds, and become a prominent name in the market.